Robots are far less of a threat to U.S. and U.K. jobs than a 2013 study suggested, a new report shows. Ten percent of American jobs and 12 percent of U.K. jobs are at high risk of being replaced by automation, according to a new report by the Organization for Economic Cooperation and Development. [post_ads]Figures in the new report represent a dramatic decrease from a 2013 study by Oxford University researchers Carl Frey and Michael Osborne, which said about 47 percent of jobs in the United States and 35 percent of jobs in the United Kingdom were at high risk of being automated in 20 years. Overall, 14 percent of jobs across 32 countries studies were at stake, according to new high risk estimates. 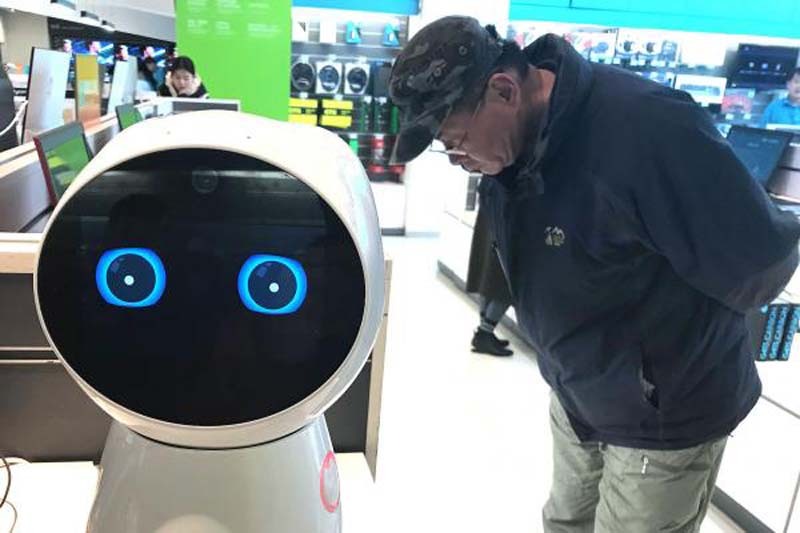 Researchers said there have been several studies since 2013, and more recent studies predict significantly lower numbers of jobs replaced by artificial intelligence. The newer studies focused on "job-specific information," rather than "occupational titles" to come up with the smaller estimates, researchers said. Some job-specific skills such as social skills and empathy make some jobs harder to automate than others. Still, low-skilled jobs and those typically held by teenagers are especially at risk of automation compared to higher skilled jobs. "The problem with all studies attempting to apply empirical evidence to this debate is they fail to take into account the accelerating improvement in the ability of AI systems," expert Calum Chace told the BBC. "It is a foolish person who declares today the limitations of what those machines will be capable of." Even with lower numbers, OECD researchers said it was still important to look at what could be done. "It is crucial not to dismiss the importance of providing retraining and social protection for the 14 percent of workers who may see their job being entirely restructured in terms of job tasks or significantly downsized," the new report stated. "This is a group that receives very little retraining from their own employers and may face several barriers to participate in adult learning, notably low basic skills, time constraints or limited motivation."